Gov. Eric Holcomb dropped a surprise Tuesday in his State of the State address, and it was a good one. He called for tapping Indiana’s budget surplus to add $70 million to funding for K-12 schools each of the next two years. That’s a little less than a 1 percent increase, but it’s something. And it’s on top of a 2-percent-per-year school funding hike in Holcomb’s budget proposal. It was a surprise because the Republicans who control both the House and Senate had signaled that Indiana’s $1.8 billion surplus was off the table in this budget-writing session. If the GOP governor says it’s not off the table, then it’s not. The $70 million per year would help pay teacher pension costs that schools currently bear. That would free money for schools to use for other purposes. Holcomb said they should use it all to increase pay for teachers. The funding will offset some of what school districts and charter schools pay into the Teacher Retirement Fund for teachers who joined the fund after 1996, a spokesperson for the Indiana Public Retirement System told me. Teachers who joined prior to 1996 are in a pay-as-you-go system that’s funded by the state. While Democrats had suggested tapping the surplus, Republican lawmakers have focused on legislation to pressure schools to spend more on teachers and less on administrative and operating costs. The Indiana State Teachers Association is backing that bill while administrators and school boards don’t like it. The good news is that everyone in state government seems to agree that teachers should be paid more. And that’s a bit surprising. It’s true that Indiana educators have seen their paychecks shrink in recent years, but, adjusting for cost of living, they’re far from the worst-paid teachers in the country. Maybe the “red for ed” protests and teacher walkouts last spring called attention to a real problem with teacher pay. Or maybe state officials are truly concerned that Hoosier teachers could leave for jobs in states with higher average salaries, like Illinois, Michigan and Ohio. This entry was posted in Uncategorized and tagged Gov. 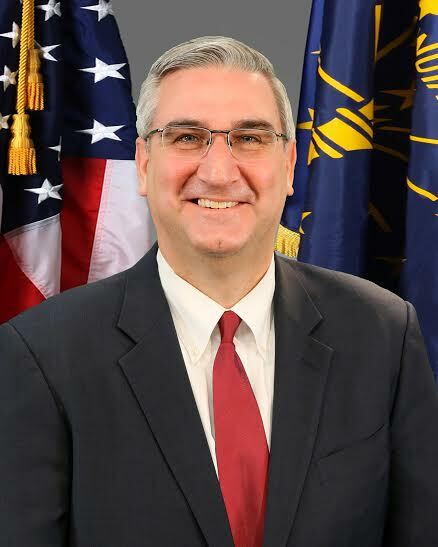 Eric Holcomb, Indiana legislature, red for ed, State of the State, teacher pay by stevehinnefeld. Bookmark the permalink. I am not setting with a “its something”. We have settled for too long. Time for some action. This is a huge surprise. Lets not forget it is just talk so far. Educational supporters need to keep pressure on legislators because the GOP is still in Mitch/Pence mode.